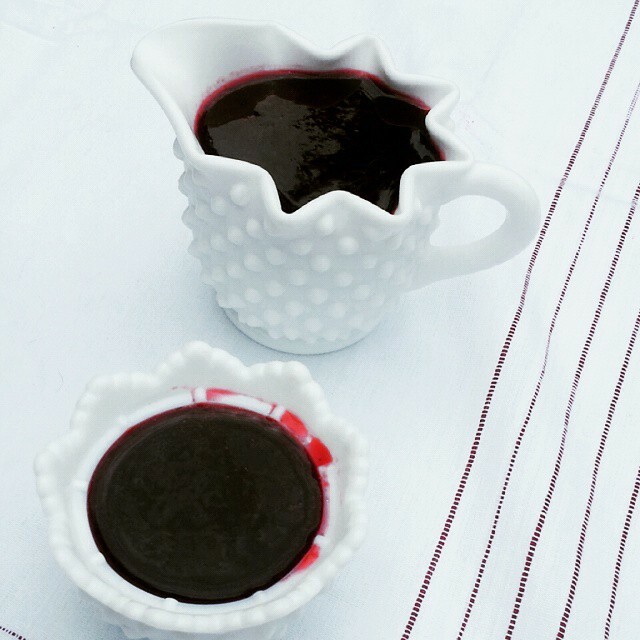 Blackberry Syrup. So good! Whether you drizzle it on pancakes, ice cream, turn it into a yummy smoothie, this syrup is the definition of summer. Oh... did I mention you can make most of this in the crock pot? Just the final step or two is done in a saucepan, but you can set this and walk away! Perfect to finish up after work one evening! I promise you will love this syrup! Place berries in crock pot. Cook on low for 2 1/2 hours, mixing every 30 minutes. You will seeds floating in the syrup. Using a fine mesh strainer and a wooden spoon over a large pot, strain berries a few cups at a time, releasing the juice into the pot. You may need to scrape the strainer with a spoon to dislodge seeds and pulp so liquid can go through. Rinse strainer between strains if needed to make it easier. Add lemon juice. Mix and bring syrup to a boil on stove and then turn off. Pour syrup into clean pint jars, leaving 1 inch of head space. wipe rims of jars. Seal with canning lids and rings, water bath can for 15 minutes.